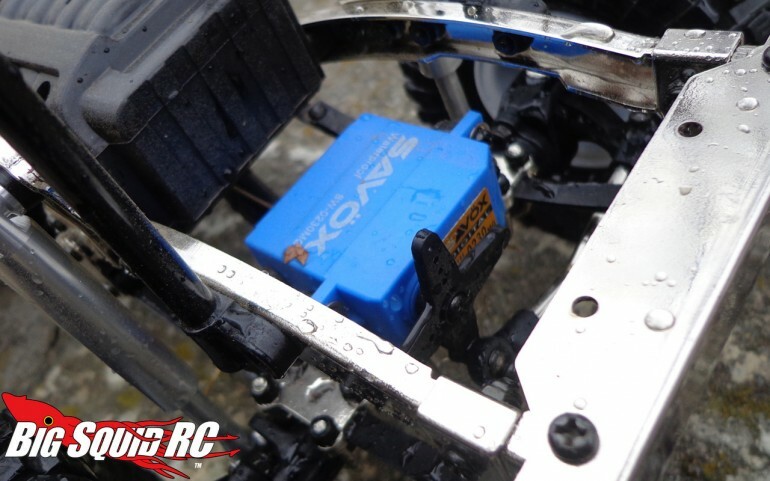 Product Spotlight – Savox SW-0230MG Waterproof HV Metal Gear Digital Servo « Big Squid RC – RC Car and Truck News, Reviews, Videos, and More! 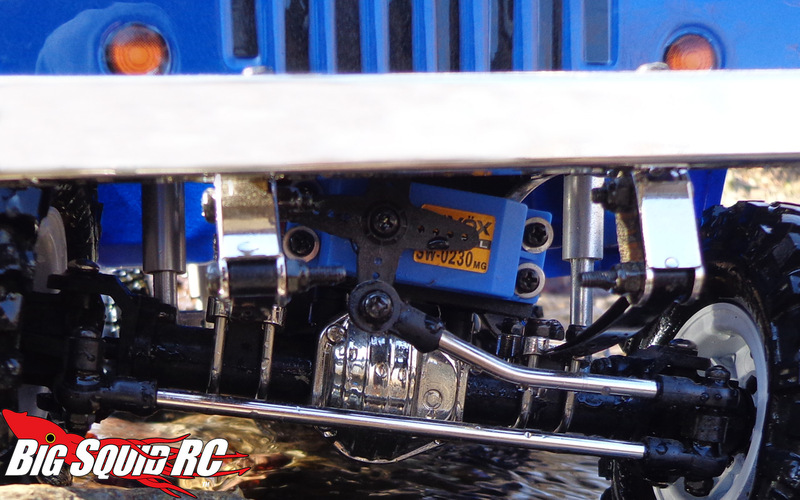 In the not-so-distant past, it was a pain to get a quality waterproof servo. You had to either fork over a king’s ransom or try to do it yourself (usually with messy adhesive plastic). Thankfully, that isn’t the case anymore as manufacturers are finally starting to pump out affordable gear for those of us that want to play in the wet stuff. Big Squid recently received a Savox Waterproof Digital Metal Gear HV Servo (Part #SW-0230MG), so I decided to throw it in my new Gmade Sawback and give it a thorough torture test. I spent a good amount of time crawling the local creek, submerging it multiple times attempting to short it out. Not only did it keep trucking without so much as a single glitch, it also had no problem turning the lead weighted (and now completely soaked) front tires with the suspension at full bind. 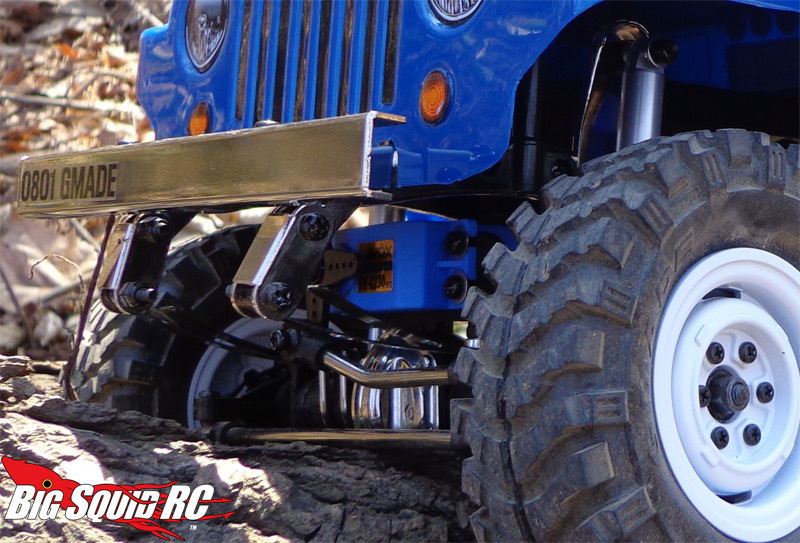 For those not familiar with crawling, that scenario has smoked many a servo. The Savox never even got warm during these dunk & crawl sessions. I came away impressed. At a street price of $43.99, it’s a great choice for the budget-conscious basher looking to take the (literal) plunge. Hit up This Link for more information on all the products that Savox has to offer. Click Here for more Savox news on BigSquidRC.